It’s 10,000 miles from Scotland to Sicily – haggis to calamari via Somerset cider. We are from Slovakia, and after three years living in the UK, experiencing life in the countryside and meeting people, we were inspired to do a big trip to raise money for Samaria, a charity from Mark’s home town in Hlohovec. Samaria is the first project of its type in Slovakia, helping people in need, and we wanted to raise money for the work they do. The best way? 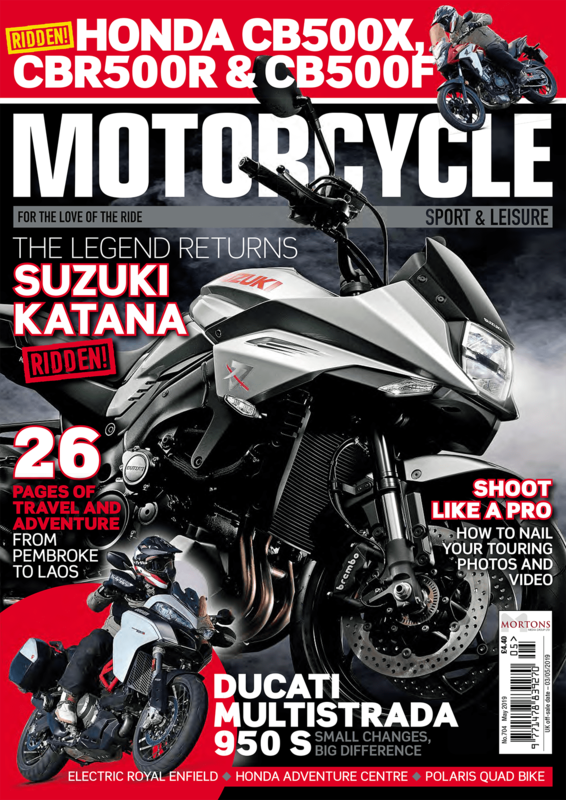 Ride right across Europe from north to south, from John o’ Groats to Trapani in Sicily, and as we both love our food, that’d be a theme of the trip. We’d already done some exploring in the UK, at first on a Vespa LX50, which was fun but not really up to two-up touring, the little scooter struggling at 15mph on some hills… so we bought a 2005 Honda Transalp. 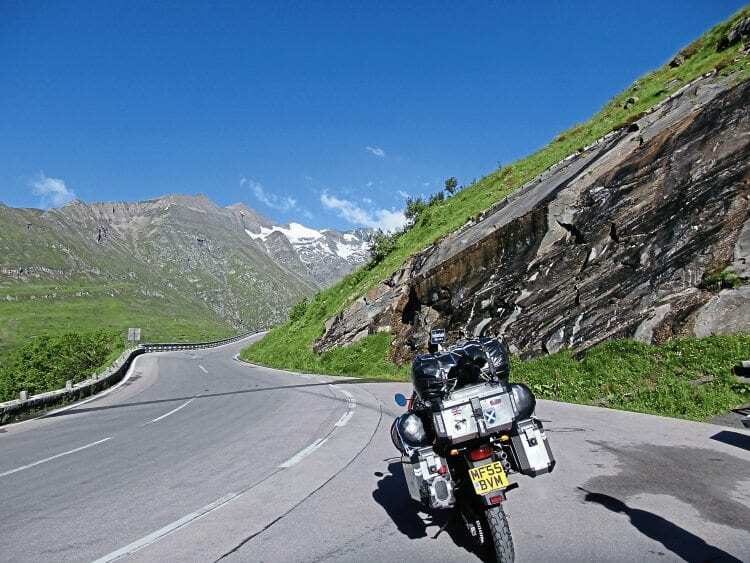 We did consider a Varadero, but wanting to do a little off-road as well thought the lighter Transalp would be easier to handle. Some people thought this older Honda would have difficulty on such a big trip, but of course it didn’t, and we love it. We practised new languages, just the basics, but as the lady in one Parmesan cheese shop in Italy said, pointing at the food you want to buy is the universal language. The other thing that helped was our planning, or lack of it. We decided not to make big plans for each day, just study the road atlas each night and look for places of interest, covering 60-200 miles a day. This became a routine, as did the unpacking each evening from the top and side waterproof bags, top-box and some stuff from the panniers. It was difficult on rainy days, when it was best to put the tent up first, throw everything in there and carry on unpacking inside. 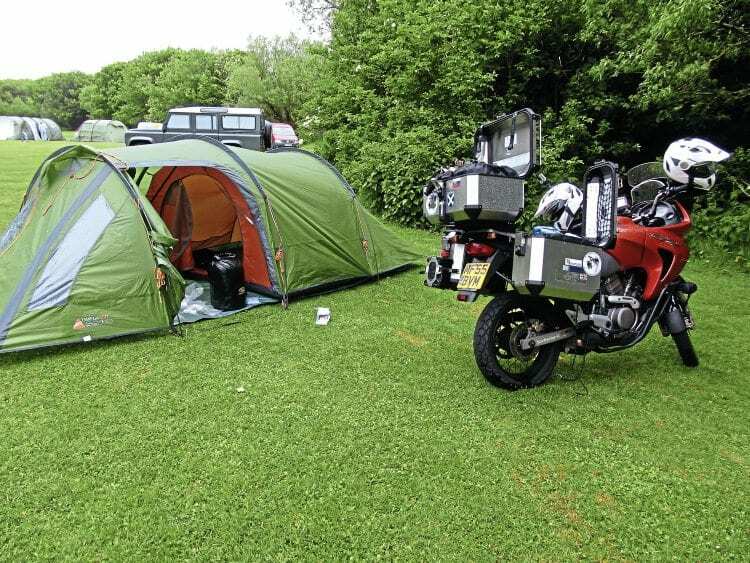 Our Vango Omega 350 has enough space for the two of us, our bike gear and luggage. We wanted to camp as much as possible to keep the costs downs to our budget of €27 (£23) a day, which had to cover everything. 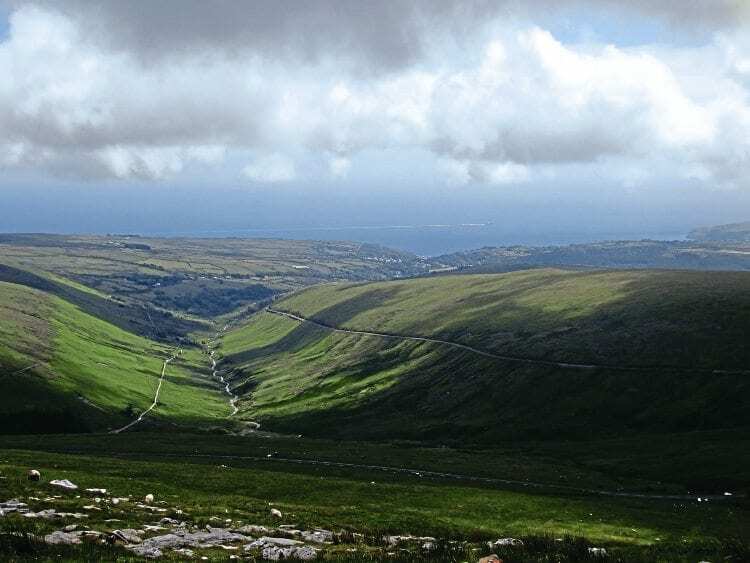 This could be challenging with some campsites asking an incredible €50 a night – we would just keep trying different sites until we found one within our budget. Mostly we were lucky. 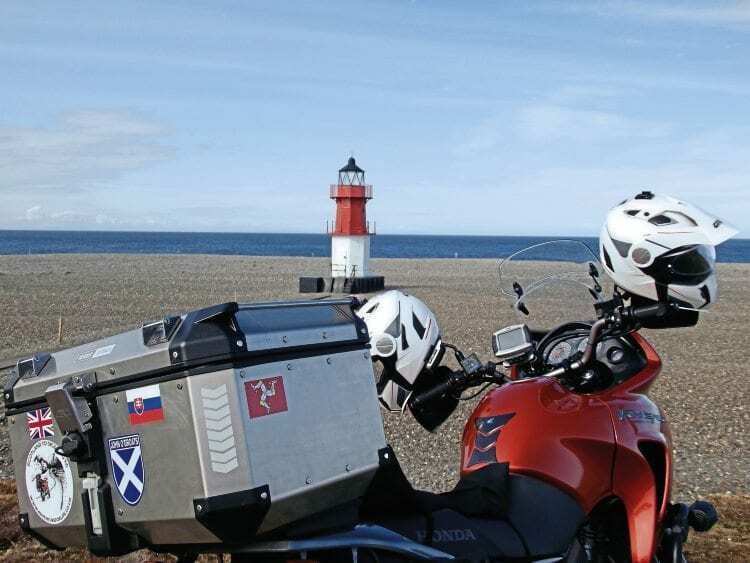 On June 15 we left John o’ Groats, leaving our sticker on the famous signpost and riding to the east coast to see the Scottish distilleries. We visited a few and bought samples. That was all good, but a strong side wind near Dornoch Firth Bridge saw us lose two crew members – Christmas dog and crocheted Minion. We were shocked and sad but the journey had to continue. At the end of the day we met a lovely Slovak family in Inverurie and stayed with them overnight. Best of all, their children gave us a black stuffed gorilla as a new crew member, who we named Happy. 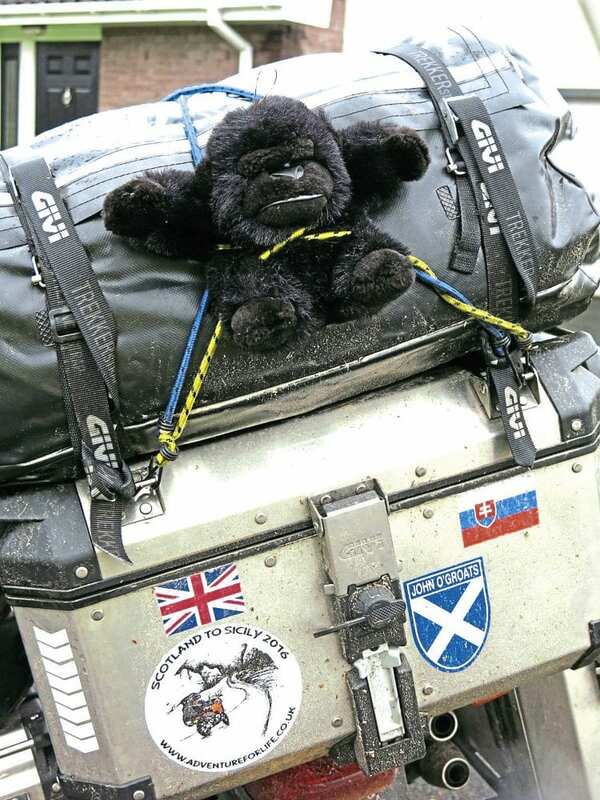 Happy the Gorilla was donated in Scotland. With food such an important part of the trip, in Scotland we had to eat haggis, which MSL readers will of course know contains sheep’s heart, liver and lungs minced with onion, oatmeal, suet, spices and salt, all encased in the animal’s stomach. Oh, and we tried Aberdeen rump steak. Gearing up for Hard Knott Pass. Crossing the border into Cumbria we came to the Lake District and couldn’t leave without trying the famous Cumberland sausages with mashed potatoes and gravy. It wasn’t all about food though, and our English Heritage membership was useful for visiting historical sites. On the way to get to these we had to cross four mountain passes (Whinlatter, Wrynose, Hard Knott and Kirkstone), all of them good preparation for the Alps. A less well-known spot on the Isle of Man. We took the night ferry to the Isle of Man. We expected this little island to be crowded with tourists, but to our surprise it was very quiet as we were there outside of TT time. We enjoyed not only empty roads and the Manx Curers, who smoke kippers in Peel, but a free car museum run by an enthusiastic man happy to talk through the history, showing unique exemplars like Peel P50, the smallest car manufactured on the island – some say the world. Isle of Man has its scenic spots. 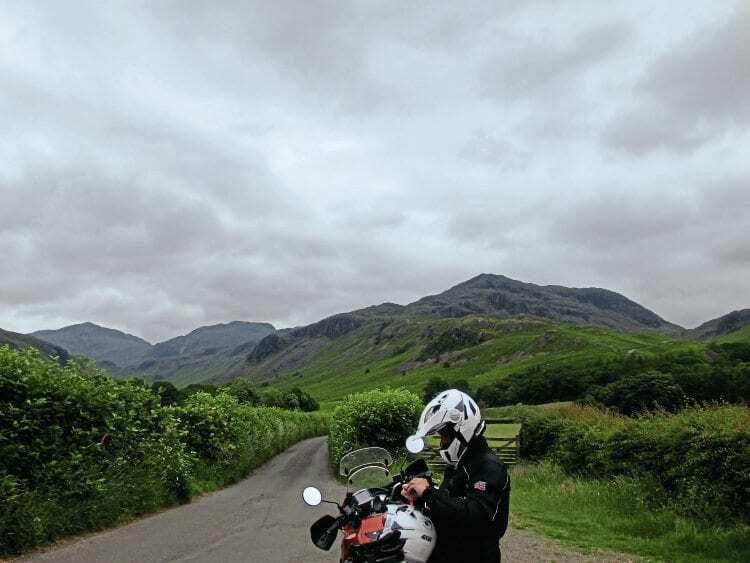 Back on the mainland, we rode south into Wales and Snowdonia. The weather improved as we went south, and the sun was shining as we travelled through Herefordshire and Somerset. This was good news as we are cider fans and wanted to visit Westons, our favourite cider maker. 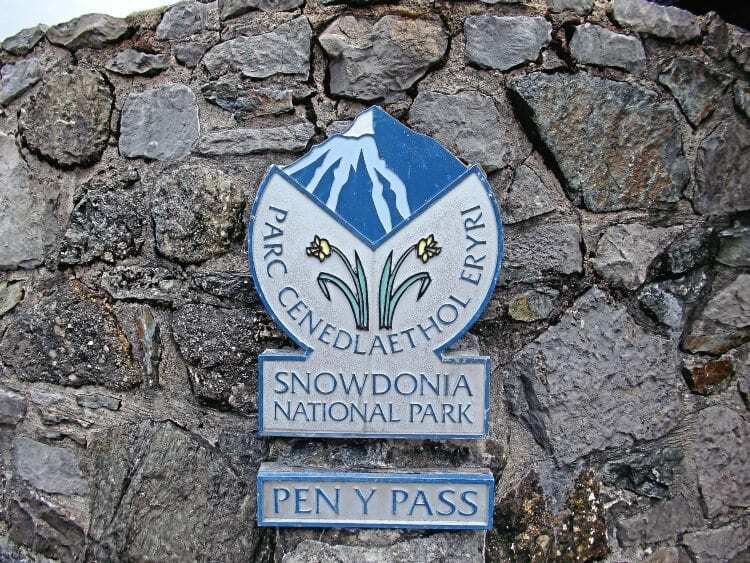 Snowdonia was beautiful – the weather there wasn’t. Our journey through the UK would not have been complete without a visit to Land’s End, at which point we were 1163 miles from home. We were keen to have our picture taken by the famous signpost but it wasn’t there – it’s taken undercover each night and put back at 9am. 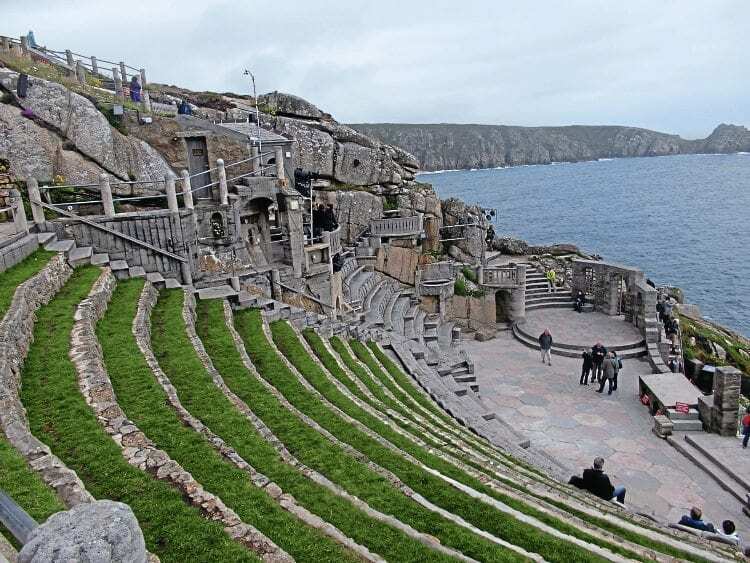 While in Cornwall we visited the beautiful Minack Theatre, an open-air performance space built as a vision of bringing art closer to the community. The audience sits in a small amphitheatre right on the cliff edge; all very windswept and atmospheric. It was time to head for mainland Europe, and after visiting good friends on their family farm in Sussex, we rode down to Folkestone and Eurotunnel. Our adventure on the mainland began in the steps of Second World War historical sites. 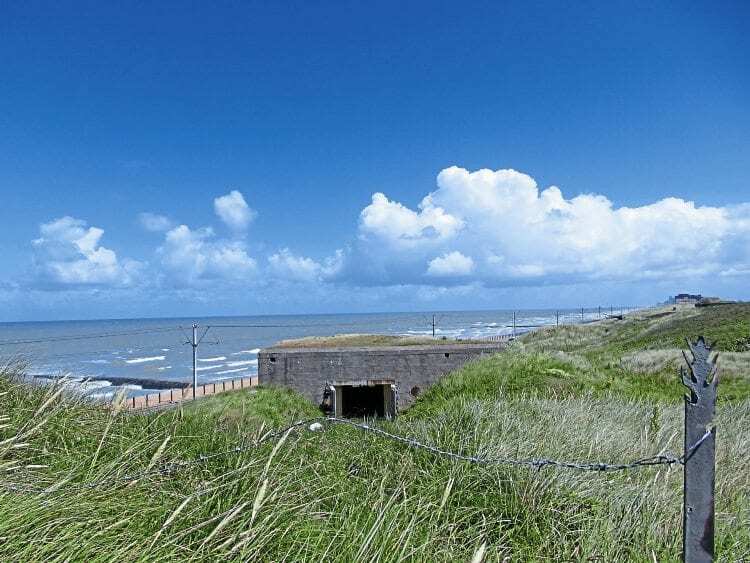 We began with the Atlantic Wall, one of Hitler’s follies, a massive defence system that stretched from North Cape right down to the Spanish border, covering the coasts of Norway, Denmark, Holland, Belgium and France. Minack, the Cornish theatre on a clifftop. Using huge quantities of concrete and armoured steel, it was built with the help of 600,000 conscripted French people. The Atlantic Wall was finished in 1944, and strengthened by Field Marshal Rommel that year, but it still wasn’t enough to prevent D-Day. Then we went on to bunkers hidden in the flat land of the Netherlands – we found five within walking distance of the village of Vlissingen, underlining just how many of these sites still litter Europe. Evidence of the horrors of the Second World War continued in Germany, at the concentration camp at Dachau. It was heartbreaking; the worst for us was the dressing room ‘showers’ and a crematorium room. Horrific, and we still can’t believe this happened only 70 years ago! Hitler’s Atlantic wall didn’t work. Happily, not all of our trip was about the awful history of warfare – it was still mainly about food. In Germany we tried bockwurst sausage and couldn’t ride though Austria without Wienerschnitzel and pretzels. During four days in Austria, we experienced the beautiful countryside we had been looking forward to, sticking to local roads and avoiding the toll motorways. The first stop was Salzburg, where Mozart was born. We arrived early, when the stalls on the main square had just opened and we could view the selection of sweet and savoury freshly baked pretzels. The journey made us hungry, but first we stopped to have a litre of fresh milk from the farm.